Parents nowadays are more relaxed with their children when it comes to discipline. It seems like mom and dad are not as strict as the parents were back in the old days. We have heard so many stories about kids disrespecting others, or when parents aren’t able to make their children obey, something that we are used to see and hear now and then. Many of us have parents who want to make sure that we are well-behaved in and out of the house even when we were still young. Sometimes we witness children misbehaving and we question how can their parents let them behave like that. Aren’t they supposed to teach their kids how to respect others or how to behave properly when in public? This has been one of the questions of many people when they saw a video of a toddler causing chaos on a flight because of his behavior. 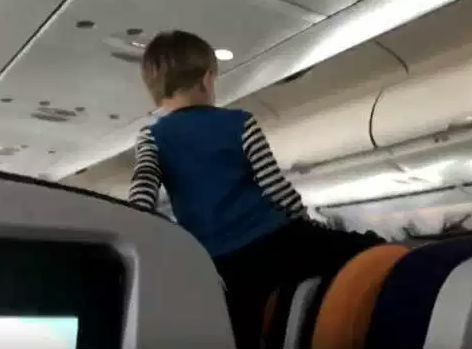 A YouTube video earned millions of views when one of the passengers named Shane Townley shared his experience of how the boy in question was allowed to do anything that he wants while on this flight. 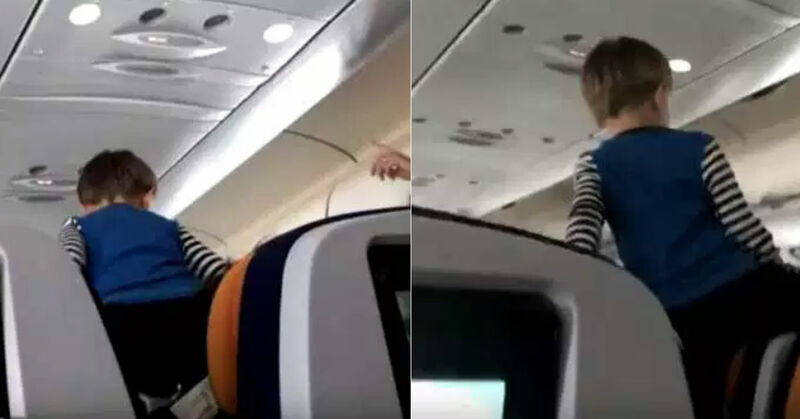 As the passengers boarded the plane, he was already screaming and climbing the seats. The mom can be heard talking to the crew saying, “Let’s get the WiFi going so we can get the iPad going.” He was definitely testing the nerves of his mom, the crew, and the passengers. The video clip shows how the boy is left to do whatever he wishes to do. Eight hours later, the plane landed in Newark, NJ. Everyone was exhausted, except for that 3-year-old boy. While exiting the plane he can still be heard with his loud, “demonic” screams! 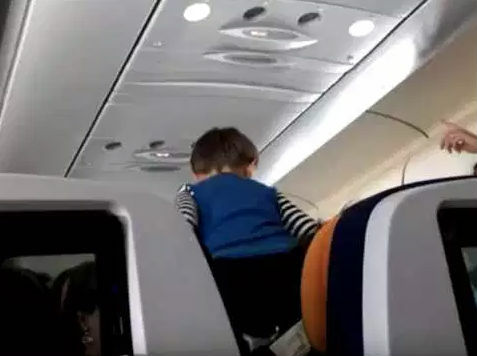 Traveling with a child can be a challenge but by just letting your kid behave like this toddler in the video is absolutely appalling. Parents should have the upper hand when it comes to their toddlers. Discipline is not only about giving kids consequences. This will make sure that they are gaining the skills that they need to become responsible adults. Many parents are concerned if they are disciplining their child too early, or maybe too late. According to Judith Myers-Walls, Ph.D., an associate professor of child development and family studies, there are things that even young babies have to learn. This is why setting limits, reinforcing good behavior, and discouraging less-desirable attitudes can start when your child is still a baby. Kids who are ages 2 to 3 years old are ready for you to try using ‘time-outs.’ For every year of his age, he will get one minute to sit quietly in a chair or room and calm himself down. He can only get up when you say that it’s over. Every child is different and not one discipline would be able to work with each kid. The more practice you have, the better you will understand how to deal with your child. Let them learn the importance of boundaries, which this kid on the viral video surely does not understand.